Imagine a world without any WordPress plugins or themes. For those of us looking to do some blogging about web marketing, it would be a sea of utter sameness unless you know some web programming. Unfortunately for those of us whose code literacy ends with strange acronyms such as HTML and CSS, we are at the behest of people that understand programming, and in the case of WordPress at least, what makes “the loop” go around. Some of the authors of WordPress plugins and themes write truly sublime programming code that can be plugged into virtually any type of website. Other authors use variable names hidden in the code like…. ‘__hate__’, and have advertisements that pop up within the WordPress dashboard. The latter type of scripts can end up costing you valuable time and money if you’re moderately unlucky and your sanity if your luck runs even worse. Your best bet for web development is to stick with the following five tips when it comes to selecting WordPress plugins and Themes. This will make life easier and help take your blogging to the next level. Obviously we all want to just download stuff, click a button, and have it work perfectly. Putting in work fiddling around with WordPress plugins isn’t something that most people want to do, but you will save more time in the long-run by going with plugins written by authors who have made the code as transparent and customizable as possible. If you blog for long enough, especially in the SEO field where there is an onus on (code) efficiency, you will likely be fiddling around with different parameters anyway. Here is an example that illustrates this reasoning perfectly. This is the setting screen for the Twitget plugin, which I happen to absolutely love. Yes, there is a lot of information here, and it’s kind of overwhelming, but it all amounts to this: the plugin is written so that you are able to adjust what is displayed yourself. 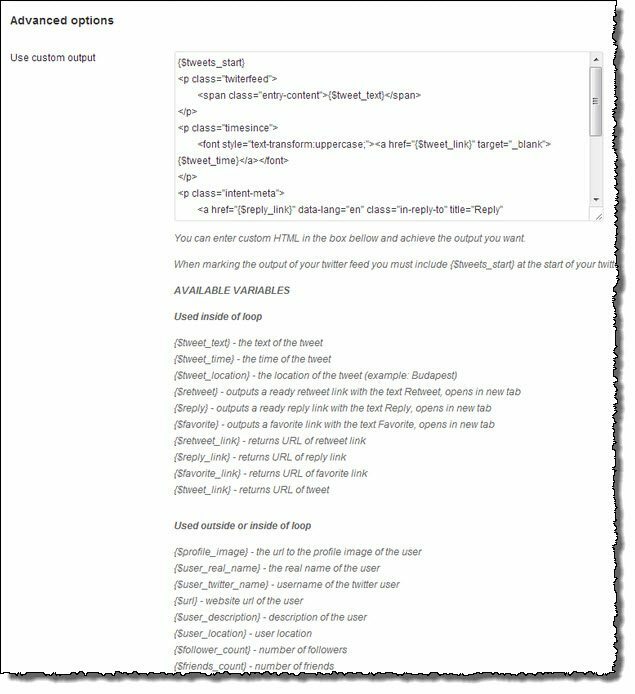 The relevant code is displayed in that window within the settings page so you can use HTML markup to adjust what you want, plugging in whatever variables you would like to do. That is, instead of tick boxes give you only preset options. The plugin forgoes any styling and inherits all the existing CSS from your own site. This (progressive) approach to plugins (from my experience at least) is categorically better than affixing some twitter output with completely different styling with the PHP equivalent of staples. So for example, here is the output on my personal blog. I think it looks much better than something like this. I have OCD-dictated minimalist aesthetic considerations that I am obsessed with, but even putting those aside, when you improve the speed of your website, it can and usually does have some sort of positive impact on your rankings. Since the feed is text-based, and drawing from the same stylesheet as the rest of the site, the page should load a bit faster. It all comes back to user experience. Some plugins are an offshoot of a particularly strong code heritage where someone else has decided they are going to make a slight alteration and name it, “[Some Plugin] – Advanced.” These “advancements” are sometimes much needed improvements, and the project forks into two viable development paths. That is the best case scenario. How many people have even voted? If you are considering downloading a plugin that has been out for a while that hardly anyone has rated, then chances are people are not downloading it for a reason. Often time situations like this happen because the plugin is attempting to serve functionality default to WordPress anyway, or something you shouldn’t be doing, period. How many 1’s? These scores are typically given by people who can judge the code integrity somewhat better than the average bear. These are the “tough critics” out there. If the plugin has a lot of 5’s, but also a lot of 1’s, then it may be the case that it is a bit more fashion over form, and people are being duped into thinking it’s perfect, when really what’s “underneath the trunk” is not as impressive, or maybe even scary. I am a bit of a theme whore. If you look at my Themeforest account you will see that too much money has been spent on a variety of things that I am embarrassed to actually ad—actually, yeah, don’t look at my Themeforest account. The point is, there are themes out there for sale, and I personally think they are well, well worth the money. Here are some WordPress themes from ThemeFuse, that start from $39 and you can buy them with free domain name and be up and running in minutes. 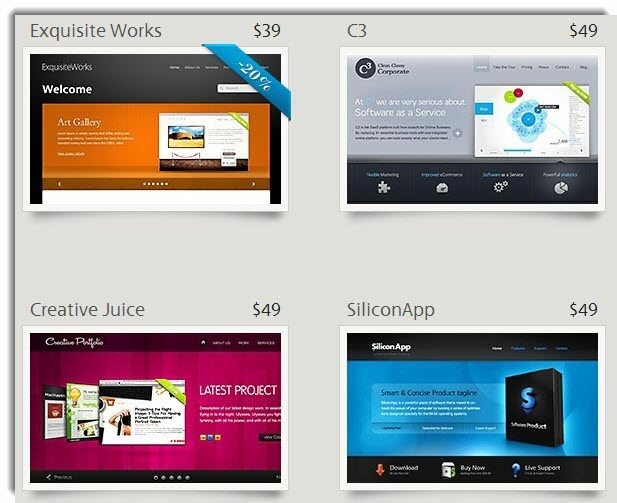 Most WordPress themes (on Themeforest and other premium theme sites) cost $40-50, and commercial licenses are in and around the $2000 range. I have also discovered websites like Themetrade.com that feature unlimited downloads for a flat fee of around $40. If the pricing seems steep, remember if you monetize that blog like you plan to, you will be able to afford it. Comments are everything when chosing a theme. Not only do they tell you how many people have (considered) buying the theme in question, they give valuable insight into the same types of issues that might arise, and also the types of responses that you can expect from the author. This includes things like frequency, the time of the day in which the author tends to respond, the quality of response, and whether or not you are dealing with a team or just one person. Take note of all these things. The other thing with comments is you can always do a CTRL-f and go through each page, one-by-one, (as I have done many of times), looking for the issue in question if you happen to come across something that completely stumps you. It’s pretty “wit’s end” type territory, but at least you know that you have the option if you do reach your wit’s end. This paragraph will be fairly short: pick a responsive website design. A responsive theme is a theme that will will respond and be easy to view on a laptop, mobile phone or tablet. It “responds” to the size of the screen it is being viewed on. Don’t fight it. You’ll get hurt. If you are in the market for a new theme, and you are not going to go with something that will adapt to the variety of different screen sizes on the market now, providing a better user experience and subsequently helping your rankings, then explain yourself, mister. Saying no to responsive is just crazy talk. WordPress is a fickle mistress. There is no doubt about it. However, if you treat her right, she’ll allow you to do the types of things that you want to do. Keep your website as lean as possible and your position on the SERPs will likely stay mean. Remember, WordPress might take a lot of heat from people like myself, but know that everything that I say is with love and respect for the world’s best CMS and blogging platform—or at the very least…enough love and respect. What WordPress themes and plugins are your favourites? Guest Author: Simon is a writer and content specialist who is addicted to being on the front page of anything. A graduate of Dalhousie University, he specializes in using the em dash too often. Currently, Simon rests his typing hands in Vancouver, Canada. I also reveal the tactics I used to grow my Twitter followers to over 160,000.